Global Career Design Center provides “the HIRAKU Practical Training Program” to doctorate students (D) and postdocs (PD) in early research career. It aims to nurture active researchers that will challenge new areas/disciplines. HIRAKU Practical Training Program consists of the Common Subjects of Graduate School as well as the HIRAKU-selected seminars, events, etc. If you take a certain number of courses/seminars/events from the list, you could receive a certificate as a “Young Researcher to explore the Future”, considered to have gained transferrable knowledge/skills to be maximized in the society. You can leverage our core IT system called “Young Researchers’ Portfolio (or HIRAKU-PF)” as well, to keep track of your training/development record, to self-assess your competencies as a researcher, and to understand your strengths or selling points. 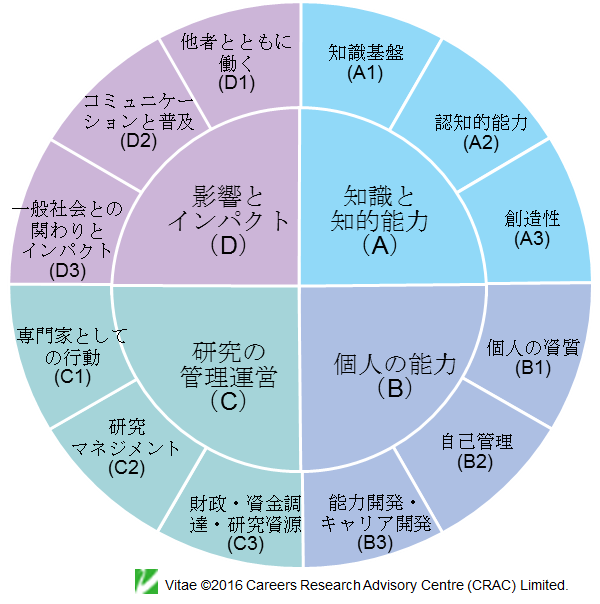 HIRAKU-PF also helps you receive relevant guidance and advice to develop your career. Please log in to the system now to enjoy the multiple functions to assist you.